With our CleveMed Home Sleep Testing device, you can enjoy the comfort of your own bed during an evaluation of sleep apnea. 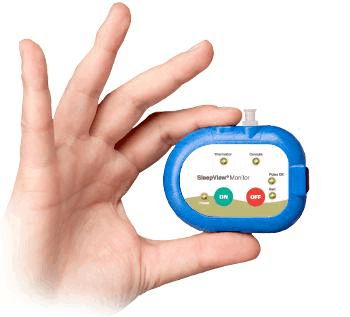 No doctor visit or prescription is required for the Home Sleep Test! 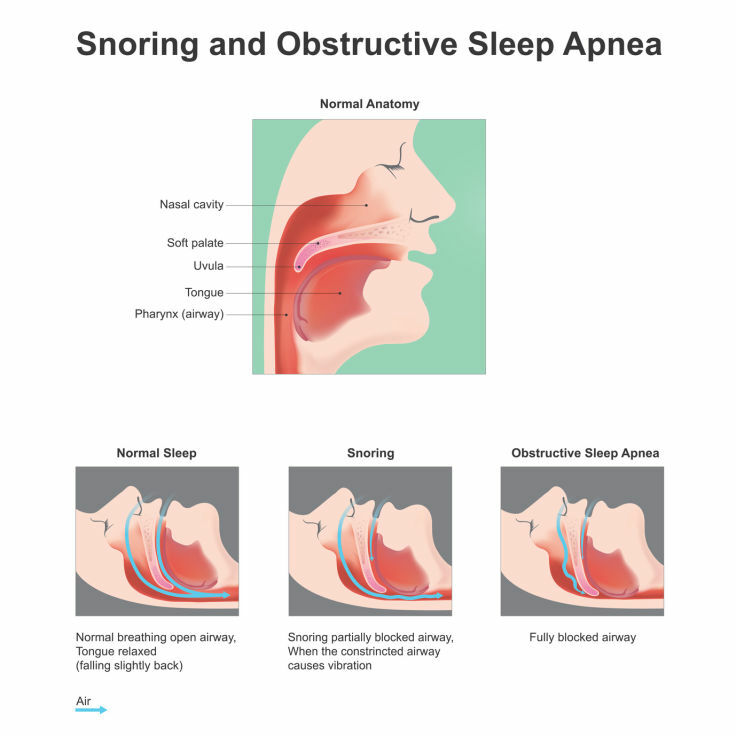 There several ways to be tested for obstructive sleep apnea (OSA). Patients can visit a sleep center in a hospital or stand-alone facility for an overnight Sleep Technician-monitored test, or patients can elect to take a Home Sleep Test (HST). It can take weeks to get an appointment at a sleep center; home sleep testing can be done the same day when you pick the device for our retail store. The natural at-home sleep environment facilitates a normal night’s sleep, improving the accuracy of test results. Why is a CPAP EquipSource HST worth it? 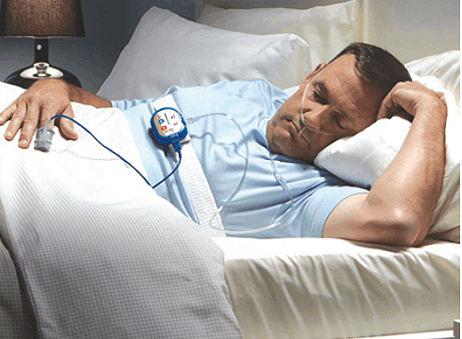 Rather than visiting a sleep center in a hospital or lab facility for a test conducted by a technician, simply purchase a Home Sleep Test (HST) from CPAP EquipSource for a more comfortable, cost and time efficient test! With our home sleep test, there are no doctor’s visits or prescriptions involved. We are partnered with a certified sleep doctor who interprets our tests, so that you never have to make any appointments. Spending a night away from home in a sleep lab can be scary, but inconvenient as well, leading to interruptions in your busy schedule. Our test conducted in the natural sleep environment facilitates a normal night’s sleep improving the accuracy of the test results. Sleep labs often ask patients to return for test redo’s due to invalid results. Patients wait weeks, sometimes longer for appointments at sleep labs; home sleep tests can be picked up from CPAP EquipSource at any point. Wear the device overnight and mail it back to CleveMed. We will have your test results within 7-10 business days sent to your doctor along with therapy recommendations from a board-certified sleep doctor who has interpreted the study. IF your test results in a positive diagnosis for OSA you can return to our store to purchase the machine and supplies to begin your therapy (pre-authorized by a doctor for PAP therapy. • Visit our retail store to purchase an HST test or call us at 1-833-285-0660. We will have you complete some forms and sign an Equipment Loan Rental Agreement. The test can be paid with cash or any major credit card. • Upon receipt of the forms and payment, our sleep laboratory CleveMed will process the order and mail the SleepView monitor directly to your home via US Postal Service. Monitor can also be picked up at the Middleburg Hts retail store. • The monitor comes with easy to use instructions and is patient ready. You wear a chest strap, nasal cannula and oxygen sensor during sleep time and the monitor will collect enough data after 6 hours of sleep. • After a successful test has been verified, the SleepView monitor is returned by the customer directly to our lab sleep in the self-addressed stamped envelope that is provided. The test results are downloaded in our diagnostic lab for scoring by a certified sleep technician. • A board-certified sleep physician reviews the raw test data and makes therapy recommendations based on a positive diagnosis of Obstructive Sleep Apnea (OSA). • Test results and therapy recommendations are fax directly to the customer and prescribing physician within 4 days after the monitor has been received and processed by our sleep lab. • The prescribing physician reviews the information and recommendations provided by the sleep physician and authorizes CPAP/BiPAP therapy if needed. • Customer can return to our retail to purchase a new CPAP to begin therapy. IMPORTANT NOTE: CPAP EquipSource does not bill Medicare, Medicaid or any type of health insurance company for the HST test, CPAP equipment or supplies. The total cost is the patient’s financial responsibility. Documentation will be provided to the patient with the appropriate medical billing codes that can be used for reimbursement from your insurance provider. Obstructive sleep apnea (OSA) is an extremely common disorder among many people all over the world; effecting nearly 3 million people in the U.S. alone per year. The most common signs of OSA include, snoring and in most cases; sleep loss and fatigue. If you have any symptoms that may be of concern to you, you may want to be tested for OSA. There is also a type of sleep apnea called central sleep apnea.